Dogs have long been considered man's best friend, but their characteristics of loyalty and protectiveness have also earned them the lesser known title of "cheetah's best friend." That's right; dogs are being used more and more frequently to assist in conservation efforts to preserve the endangered cheetah both in captivity and in the wild. 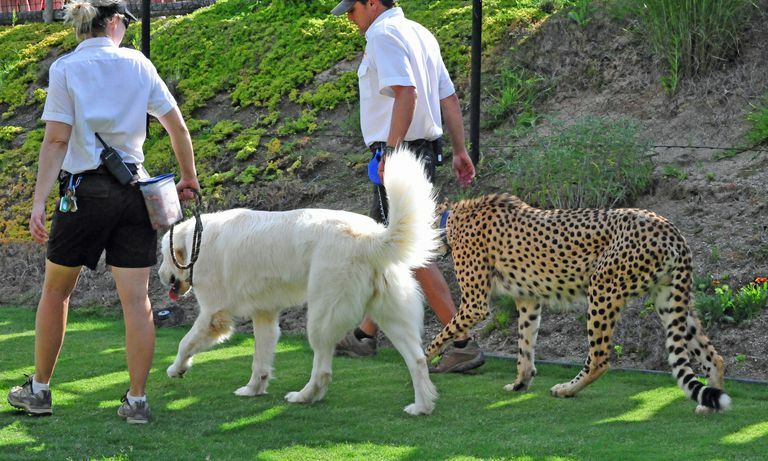 Since the 1980s, the San Diego Zoo Safari Park has assigned companion dogs to cheetahs that are involved in the zoo's captive breeding program. "A dominant dog is very helpful because cheetahs are quite shy instinctively, and you can't breed that out of them," explains Janet Rose-Hinostroza, animal training supervisor at the Park. "When you pair them, the cheetah looks to the dog for cues and learns to model their behavior. It's about getting them to read that calm, happy-go-lucky vibe from the dog." The primary goal of comforting cheetahs through this unusual partnership is to make them at ease in their captive environment so that they will be able to breed with other cheetahs. Shyness and anxiety don't bode well for a breeding program, so the inter-species friendships that the cheetahs are able to form with dogs can actually benefit the long-term survival of this rare cat. The dogs enlisted by the Park are typically rescued from shelters, giving these homeless canines a new purpose in life. "My favorite dog is Hopper because we found him at a kill shelter and he's just 40 pounds, but he lives with Amara, who's our toughest cheetah by far," says Rose-Hinostroza. "It's not about strength or overpowering. It's about developing a positive relationship where the cheetah takes her cues from the dog." Cheetah cubs are paired with canine companions at about 3 or 4 months of age. They first meet on opposite sides of a fence with a keeper walking the dog on a leash. If all goes well, the two animals are able to meet for their first "play date," although both are kept on leashes initially for safety. "We're very protective of our cheetahs, so the introduction is a painfully slow process but a lot of fun," Rose-Hinostroza says. "There are lots of toys and distractions, and they're like two cute little kids who desperately want to play. But cheetahs are instinctively hardwired to feel uneasy so you have to wait and let the cat make the first move." Once the cheetah and dog establish a bond and prove to play well without leashes, they are moved into a shared living space where they spend almost every moment together, except feeding time, when the zoo's dogs get to gather, play, and eat together. "The dog is the dominant in the relationship, so if we didn't separate them, the dog would eat all the cheetah's food and we'd have a really skinny cheetah and a really chubby dog," explains Rose-Hinostroza. Among the zoo's crew of companion mutts is one purebred Anatolian shepherd known as Yeti. Yeti was recruited to help cheetahs and also to act as a sort of mascot, representing her cousins in Africa who have revolutionized predator management and saved many cheetahs from being killed in defense of livestock. The Cheetah Conservation Fund's Livestock Guarding Dog Program is a successful, innovative program that has been helping to save wild cheetahs in Namibia since 1994. While Anatolian shepherds in Namibia do not work in cooperation with cheetahs, they still contribute to the wild cats' survival. Before the dogs were employed as conservation tools, cheetahs were shot and trapped by ranchers who were trying to protect their goat herds. 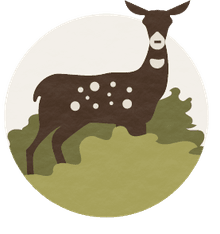 Dr. Laurie Marker, founder of the Cheetah Conservation Fund, began training Anatolian shepherds to protect the herds as a non-lethal predator management strategy, and since then, wild cheetah populations have been on the rise.